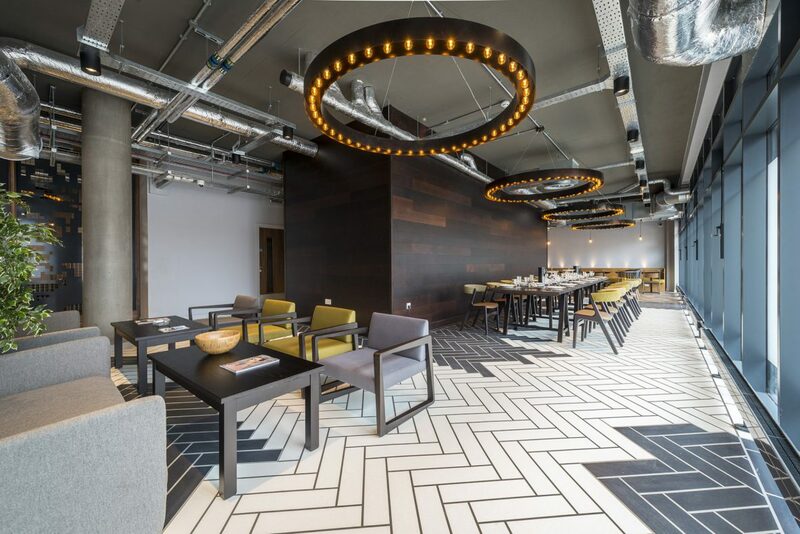 Set in the heart of Cardiff city centre, Windsor House student accommodation is setting the standard for the generation Z lifestyle, comprising of studios, twodios, a bespoke VIP bar, cinema room, games room, study rooms and TV lounges. 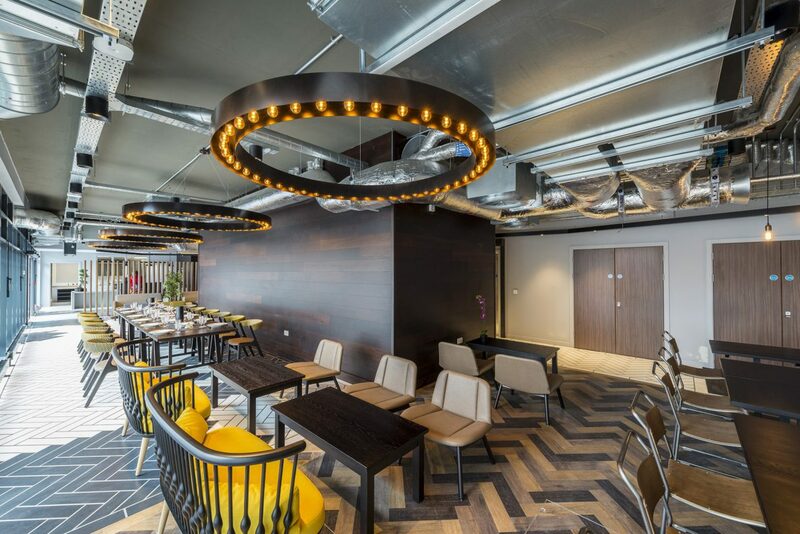 As the student accommodation market has boomed in the UK, Fusion Students are one of the sector’s most ambitious developers and Windsor House is no exception. 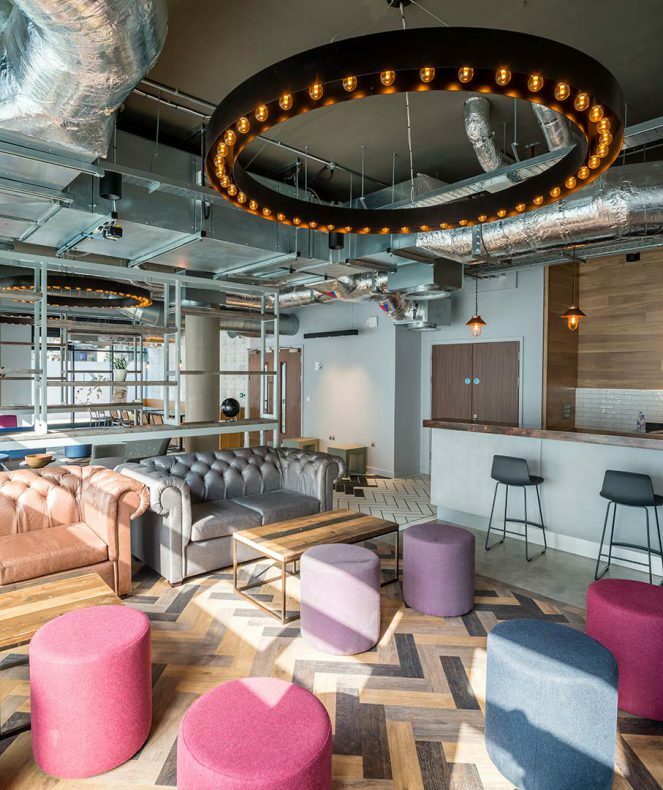 With a brief to ‘wash away the well-known model of student standards’, the accommodation scheme sits as a hybrid of halls and hotel that even has its own concierge staff. 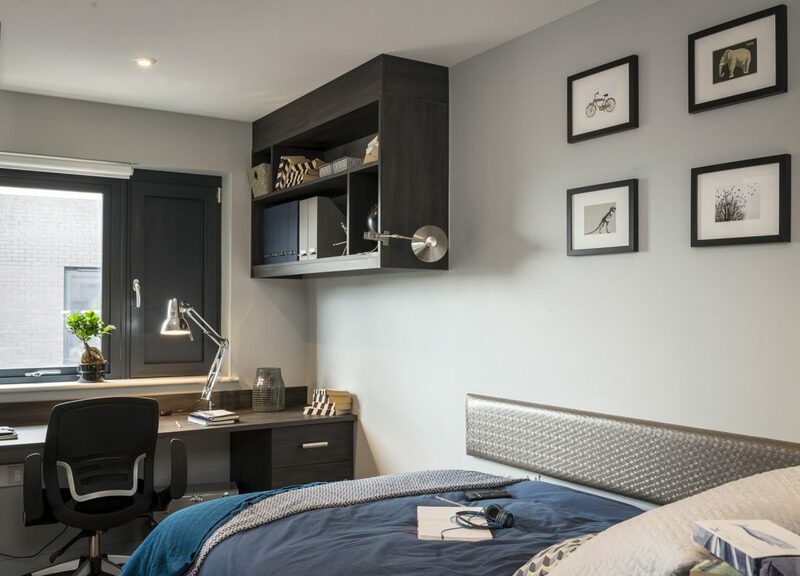 The change in demand for students in a buyers’ market has driven the desire for high-end accommodation and sees new opportunities for design. 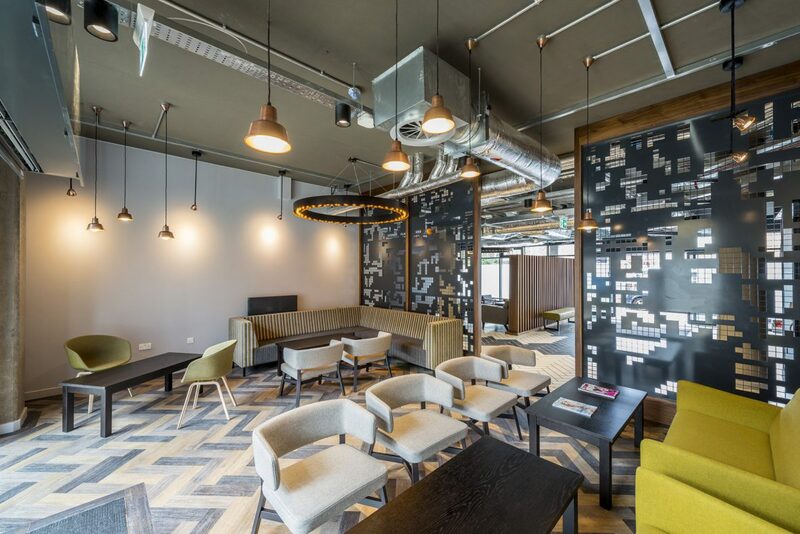 By integrating our team’s vastly growing wealth of student accommodation experience and student engagement studies, we have nurtured an environment for both work and play. 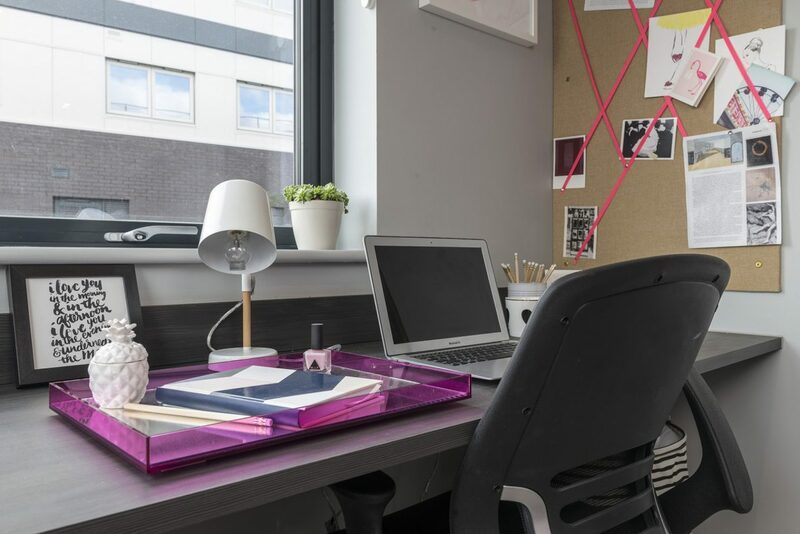 With the increase of demand for independence from students, the building is unique in offering exclusively studios and twodios allowing students to live self-sufficiently whilst providing opportunity for a community and social life within the main areas of the building. 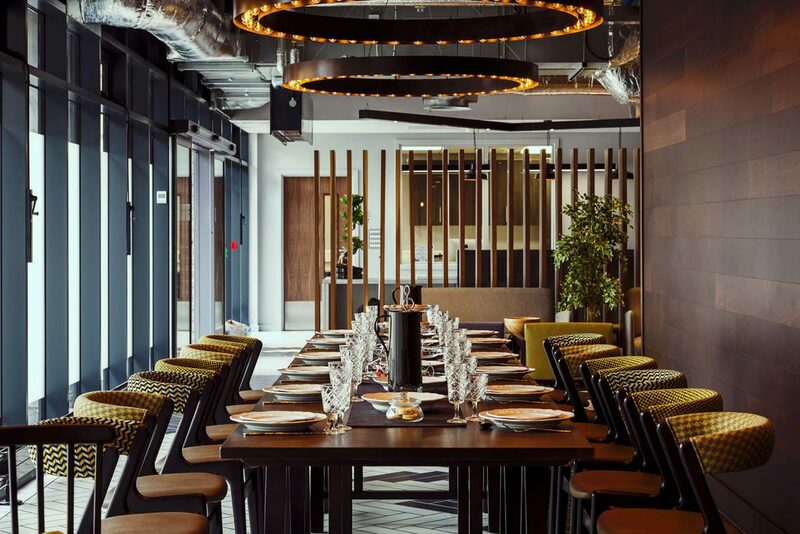 The bookable VIP bar offers the freedom to host private parties, boasting ice wells for those who may want champagne and cocktail evenings; gone are the days of the pot noodle. The transformation has rejuvenated Windsor Place and the small courtyard allows students to have their own private sun lounge away from the main high street. Succeeding a tired 1970’s office block, the building itself ranges in height from 6 to 7 storeys and is broken into three interconnected blocks. Responding to the immediate context, the 3 facades mirror the relative architectural surroundings. Dumfries Place through a stone façade, black brick to mirror the adjacent dark stone church on Windsor Lane and red brick to Windsor Place in response to a terrace. Curtain walling to the ground floor allows a glimpse into the communal areas with privacy film to keep events privy for guests. Stride Treglown provided the architecture, landscape architecture and interior design services on the project. What we've learnt from 15 years, 72 projects and 27,000 beds worth of student accommodation.